This is my final assignment for my Masters of Education paper, Education Policy. It traces the history of Standards in primary education and how we have come full circle from our original Standards based education, when compulsory education was established in New Zealand in the late 19th century, to the disestablishment of the Standards in the 1950s, through the development of a variety of assessment tools from the 1960s through into the 2000s and then the reintroduction of Standards in 2009. I wanted to know how much economic theory and policy played a part in the measurement of children's achievement. 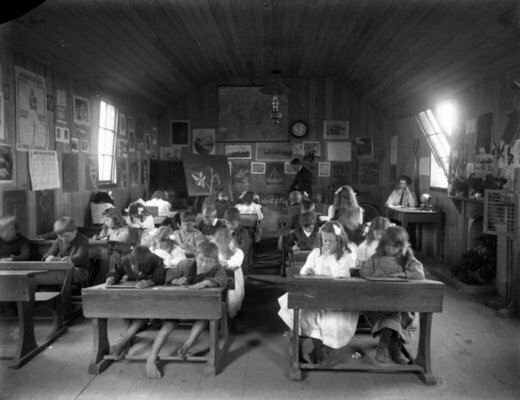 The children in class at Makowhai School in 1909. Alexander Turnball Library. In some respects, it appears that the New Zealand public education system has come full circle from 1885 when the public education system was formally established: standards. Until 1955, the only way a student progressed through their primary years was by passing the standards set for their class – be it either by a written and oral examination conducted by a visiting inspector or, later, under the direction of the school’s head teacher. Today’s modern student is confronted by the National Standards, implemented in 2010. While today, moving onto the next year level is not barred by failing to meet the standard, a label is attributed to the child declaring their level of achievement. So how did New Zealand’s education system go “back to the future”? How did the system come full circle on the implementation of standards, to their phasing out of and back to implementing them again? How has economic policy influenced how New Zealand primary school students are assessed? The purpose of this article is to outline the road taken by policy setters towards National Standards and the role of neoliberalism as the vehicle to achieve this. Key Words: National Standards, neoliberalism, education, student achievement, New Public Management, accountability, Public Choice Theory, The New Right. Prior to 1984, New Zealand’s government practiced a policy of full employment for the nation, believing that everyone who was able to had the right to work and would have a job. Successive governments achieved full employment, through work schemes and public service positions when times were tough, for nearly forty years – the price being that the government had central economic control (Someone Else’s Country, 2002). 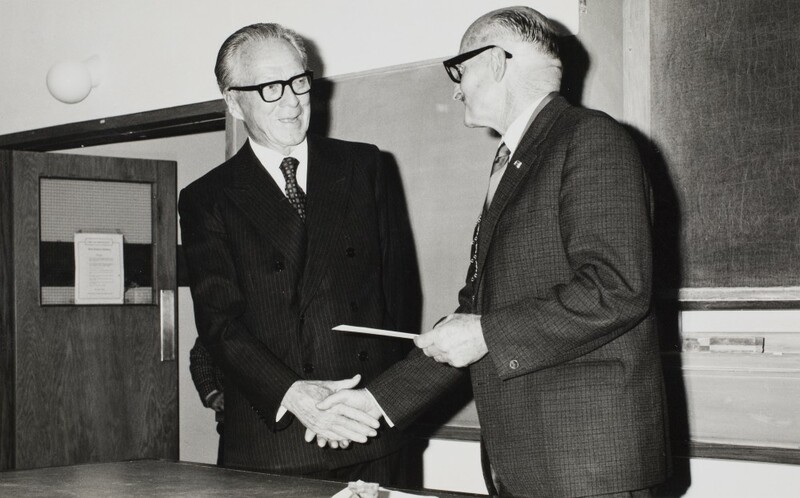 CE Beeby (on the left) receiving the first NZEI fellowship award. Acknowledge: John Cleland Photo Studio Ltd, photographer. New Zealand Educational Institute Te Riu Roa collection. Alexander Turnbull Library, Wellington, N.Z. 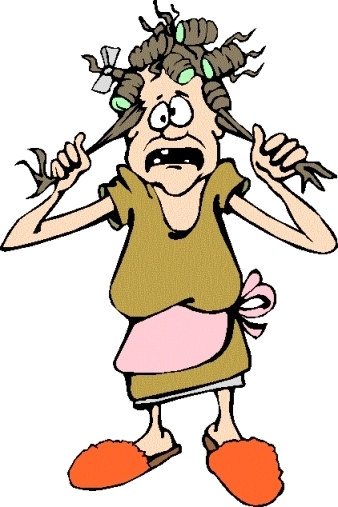 As the famous Beeby quote alludes, the country was deeply wounded by the Depression and the effects of World War II, especially in regards to the children growing up in the 1930s and 1940s. For those who served in the armed forces overseas, they came back to New Zealand expecting they would have a job that paid a fair wage so they could support a wife and family. The government set up a free public health system, built state housing and provided opportunities for people to own their own homes. The government had heavily invested in infrastructure for a modern post war New Zealand to ensure a strong network supplying electricity to the whole country. Roads were being sealed and the railways reached every city, major town, industry and port. New Zealand was considered a wealthy country with a high standard of living that recognised what was needed for a modern society. There was also the welfare state, established late in the Depression years, to support citizens until they were able to go back to work. The First Labour government had already begun a programme in the late 1930s to reinvent the education system guaranteeing universal free primary and secondary education. “It was assumed that where ever people lived, they would have access to a school offering the same range of opportunities as any other school.” (Gordon, 1997). Education policy was developed using best practice, the latest pedagogy and research. 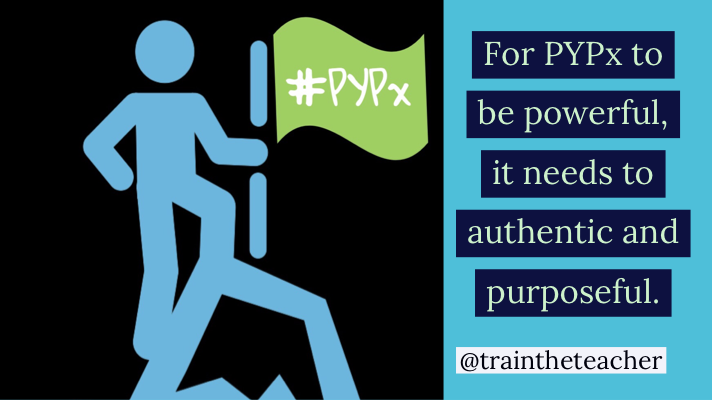 Teachers were supported with a network of advisors across the syllabus from within the Department of Education. The health and wellbeing of students was supported with school milk each day. Minimal educational success was measured by achieving School Certificate at the end of fifth form (now Year 11). If you were capable you would achieve UE or University Entrance at the end of sixth form (Year 12) and go to university, or stay another year to do the Bursary exams at the end of seventh form (Year 13) – although this was not commonplace until the towards the end of the 1980s and early 1990s. To be the first in your family to achieve a qualification at university was to be celebrated. In 1980, New Zealand had slipped from being the sixth wealthiest country per capita in 1965 to 19th place. Prompted by rising inflation and unemployment impacting heavily on the economy, then Prime Minister, Robert Muldoon, announced a wage and price freeze in June 1982 to attempt to control and deflate both. 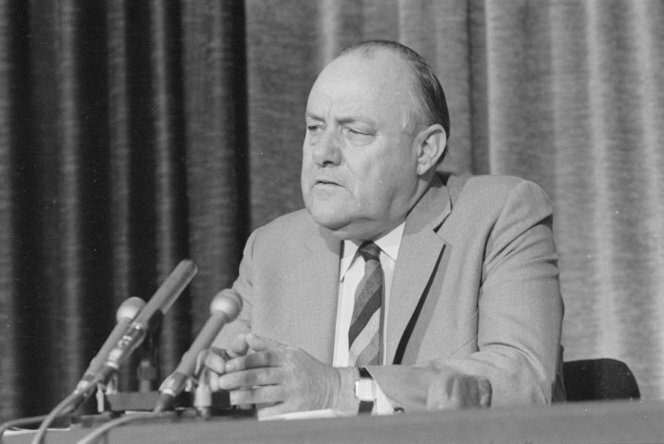 Prime Minister Robert Muldoon in October 1983. In 1984, the snap election called by Muldoon set in motion the biggest economic and social upheaval in New Zealand’s history since the welfare state was instituted by the First Labour government in the 1930s – and it was a Labour government doing it again. The New Zealand economy was in dire straits in 1984 with record unemployment and soaring double figured inflation resulting in interest rates being well above 20%. It had its roots in the economic theory of Keynes, which tried to explain how the Depression happened. Post-World War II, Keynesian economic theory was dominant. The ethos behind it is a theory of total spending in the economy called aggregate demand, and its effects on output and inflation. One of its key tenets was full employment. Spending on big projects (Think Big) and controlling wages and prices (Muldoon’s wage and price freeze) are also features of Keynesian economic theory (Blinder, 2008). People began to look overseas for another option to improve the economy. They looked towards how Margaret Thatcher in Great Britain and Ronald Reagan in the USA were dealing with similar issues in their economies. 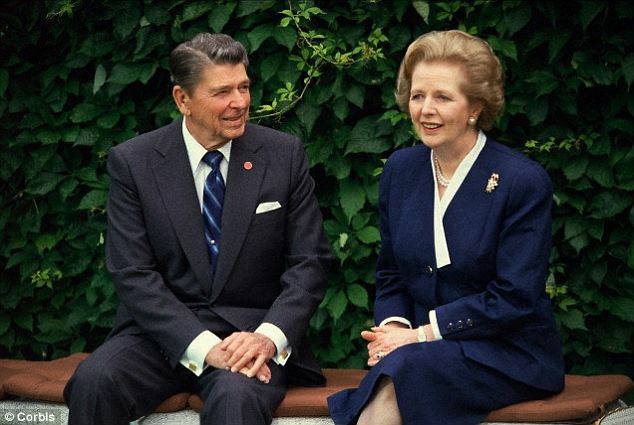 Margaret Thatcher and Ronald Reagan were heavily influenced by the writings and direct advice from economists following the Chicago School of economics, in particular, Milton Friedman and Friedrich Hayek. Friedman’s ideas on monetary policy, taxation, privatisation and deregulation under the virtues of the free market are clearly seen in the policy settings of Thatcher and Reagan (Wikipedia, Friedman). Hayek argued that socialism could not be compromised with, that all forms of collectivism could only be maintained by a central authority of some kind and that maintaining the rule of law should be the only concern of the state. As Ball (2003, p.38) quoted Morrell (1989), “Hayek is particularly concerned to argue against the involvement of the Government in the life of the citizen.” This meant that the state had no business in services such as health, education, or the provision of electricity, water and waste for example. These should be in the realm of private businesses (Wikipedia, Hayek). Margaret Thatcher was part of a movement called The New Right. Their thinking encompassed the musings of Friedman and Hayek in having their roots in the laissez-faire viewpoint, such as leaving things to take their own course without interfering. Again, this means the government should stay out of the free markets. It is all about the individual over the common good. This led into neoliberalism - where we sit today - a modern politico-economic theory, with its roots in classical liberalism from the 1800s, favouring free trade, privatisation, minimal or reduced government expenditure on social services and minimal government intervention with business. The ideas of The New Right, in turn, also influenced economists in New Zealand who had the ear of key Labour MPs leading up to the 1984 election, such as Treasury Official Doug Andrew, who was attached to the Leader of the Opposition’s office in mid 1983 (McKinnon, 2013). Economic policies of The New Right, pushed by sectors of the Treasury department, were put into practice by the new Minister of Finance, Roger Douglas after that election. Government departments and services became State Owned Enterprises (SOE) and restructured, many with the goal of privatising and selling off to the private sector. This resulted in large scale redundancies and loss of jobs for thousands of New Zealanders as former government services were rationalised. When Labour was voted out in 1990, the new Minister of Finance, Ruth Richardson continued the programme of privatisation and SOE sell offs. But those in Treasury wanted The New Right doctrine taken further and New Zealand’s renowned welfare system to be dismantled. In 1991, Richardson announced the Mother of all Budgets in which benefits were slashed across the board in order to encourage beneficiaries to compete for jobs and sanctions were brought in for eligibility to benefits (Someone Else’s Country, 2002). On top of the highest employment statistics since the Great Depression, continued redundancies and job losses from SOE restructuring and private companies responding to the times, depressed wage increases and instability of work due to the Employment Contracts Act and the loss of power by the trade unions, the cuts to benefits impacted local communities extremely hard. Over $400,000 was no longer flowing through the community of Porirua alone, resulting in less money spent in local businesses resulting in further job losses and business closures (Someone Else’s Country, 2002). After the 1984 election, the Minister of Education was Russell Marshall. He saw that education needed rationalisation as the make-up of the Department of Education was cumbersome, and, after watching reforms being conducted in other government departments, decided the best course of action was to set up his own review of education before it was initiated by other certain members of caucus or pushed by Treasury officials so he could control its direction (Butterworth & Butterworth, 1998). Prime Minister, David Lange, was very concerned at the possibility of an education review being taken over by people who may steer education away from its role of public good. “Lange sent Annette Dixon to talk to John Wilcox, Marshall’s executive assistant to make it clear that he did not want people appointed who would ‘take a blow torch to education’.” (Butterworth & Butterworth, 1998, p.66). The man recommended by Wilcox to lead the taskforce was Brian Picot. Prior to the 1987 election, Marshal announced to his colleagues that he was launching a review. Brian Picot, the head of the supermarket chain Progressive Enterprises, insisted he would only lead the review if it was not to be used as a vehicle to slash funding to the education sector. It was “only to identify costs, benefits and possible efficiencies” (Butterworth & Butterworth, 1998, p.76). After the election, David Lange appointed himself as the Minister of Education. “Lange was concerned about an imminent Treasury attack on social expenditure, and that he wanted to send a strong signal to the electorate of his continuing commitment to social policy.” (Butterworth & Butterworth, 1998, p.68). The Picot Report was released in April 1988. Some of its recommendations were based on work from other committees and unpublished work by other teams. In August 1988, the document Tomorrow’s Schools was released, which was essentially the Picot Report with a few relatively minor amendments. The biggest adjustment was the inclusion and emphasis of the Treaty of Waitangi, which was anticipated by the Picot Taskforce. Under Tomorrow’s Schools, the result of the Picot Report in 1987, the centralised Department of Education was dismantled and replaced by a small policy focused Ministry of Education (MOE). The NZQA (New Zealand Qualifications Authority) was set up to monitor qualifications and assessment. Special Education services became another standalone agency (Gordon, 1997). Primary and secondary schools became self-managing entities with parents and community members elected to a Board of Trustees (BOT) for each school. BOTs and schools would take over the functions previously undertaken by the local Board of Education (Gordon,1997). Advisors (formally part of the Department of Education) became part of the Advisory Service usually managed by the nearest School of Education/Teachers’ College. The Education Review Office (ERO) was established to hold BOTs, schools, principals and teachers to account for the financial performance and achievement success of the school in place of the inspectors from the previous regional Boards of Education. This was in line with an international preoccupation with reviewing schools under the New Public Management doctrine (Thrupp, 1997). The Curriculum Review conducted under the Lange government went into full overdrive in the 1990s, starting with the Curriculum Framework published in 1993 (Philips, 2000). Each year a new Curriculum document for a new learning area was released in draft form, which was compiled without direct consultation with teachers and academics concerned with the curriculum area under the concept of provider capture. Each draft had to be commented on and trialled in schools before being confirmed, published and gazetted. This meant each year one curriculum area would be consulted on, while a second was gazetted with schools writing the document into their policies and a third curriculum area was being implemented into schools. This really was the ignition of an assessment led curriculum, with Learning Objectives becoming the driving force behind any learning planned with an assessment to prove its effectiveness. This was how the government and the public would assess children were learning and teachers were effective or not. But how was this different to previous eras? In the school days prior to 1955, a student was required to pass the standard set for their year level. The Education Act of 1877 established a national system of curriculum and exam standards for all state primary school. They were formulated in early 1878 and gazetted later that year in September. Originally this was assessed by an external inspector using an oral and written examination once a year. Rote learning was rife with the threat of the inspector’s visit looming. Competition between schools, and even education boards, was rife. One Napier school announced it would pay a bonus to teachers whose students produced desirable exam results. The results of the annual exams were published each year and it enabled the public and the Department of Education to evaluate the performance of individual schools and teachers (Lee, n.d.). 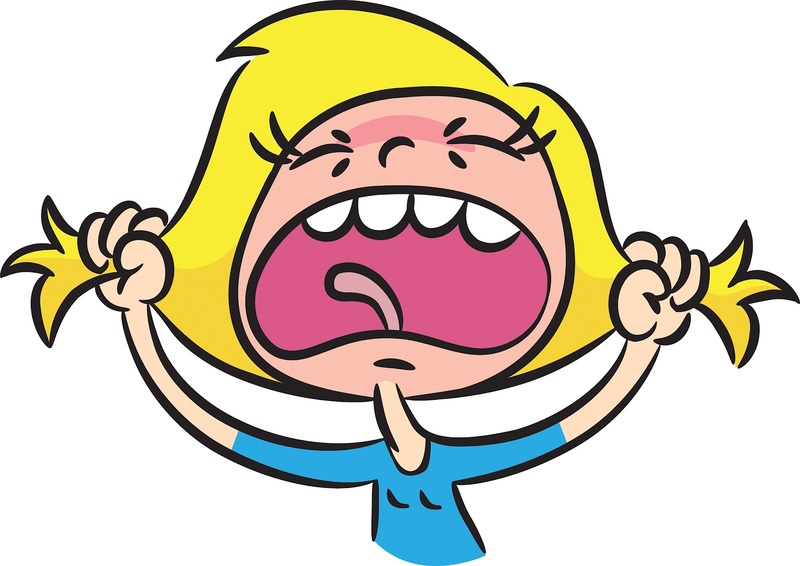 Like today, teachers of that time complained the syllabus was being narrowed as a result of the standards set for each year level. This evolved to a test administered by the head teacher. However this process led to accusations of gaming the system by teachers teaching to the test or assisting students with their assessments – not unlike some of the arguments of today’s era of National Standards or evidence of overseas jurisdictions using a national testing regime. Consequently a set written test was developed (Hill, n.d.). Prior to the Second World War and after it, a lot of research had been conducted into the science of how children learned and how successful teachers taught. Beeby put a lot of weight behind this and it influenced the pedagogical approach that he encouraged through the various units in the Department of Education. Post World War II, changes were made to how teaching and learning was approached and assessed. Passing the standards to move up was abolished in 1955. Norm based testing was the focus with a five point scale. After the 1962 Currie Commission Report, The New Zealand Council of Education Research (NZCER) were engaged “to prepare and administer national standardised tests in the form of ‘checkpoints of attainment’ in basic subjects” for certain year groups (Lee, n.d., slide 63). In 1965, NZCER were tasked with the responsibility of designing assessments based on norm based standardised testing for each year group, resulting in the PATs (Progress Achievement Tests) for reading comprehension, reading vocabulary, oral listening and mathematics being launched in 1969 (Hill, n.d.). PATs are still one of the assessment tools in use today. During the 1970s and 1980s, other advances were made in the assessment of reading and writing. Marie Clay’s Running Record and the Six Year Net for the assessment of reading behaviours and Donald Graves writing conferences to assess and feedback on the craft of writing were established as core assessment procedures for teachers and are still in use today (Hill, n.d.). As part of the market focus of the reforms initiated when Tomorrow’s Schools was implemented in 1989, schools and teachers were to be held accountable for the learning achievement of students publicly. “The insinuation was that through these accountability measures, student achievement and the quality of learning programmes would be improved.” (Hill, 2002). In 1990, a document called Tomorrow’s Standards was published as a result of the Ministerial Working Party on Assessment for Better Learning. Following that, a wider range of assessment tools were developed to assist classroom teachers with formative (used to improve teaching and learning) and summative (a summary of where the individual is at) assessments to ensure students were achieving the tightly specified outcomes of the New Zealand Curriculum (Philips, 2000). Teachers and schools developed their own methods and resources to assess their students’ learning while the Ministry worked on developing examples of assessment activities, co-ordinating teacher development in assessment and releasing support material such as Assessment: Policy to Practice in 1994 (Philips, 2000). 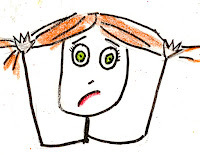 Philips said Hill (1999) referred to ‘assessment frenzy’ becoming epidemic in the 1990s primary school setting. During this time, common place assessment tools used included the School Entry Assessment, Six Year Nets, Standard Two Survey, Running Records and PATs. During this time the Assessment Resource Banks (ARBs) were developed by NZCER to provide a variety of standardised assessment items in mathematics, English and science. The National Education Monitoring Project (NEMP) was established in the mid 1990s based at the University of Otago. “The stated purpose of NEMP is to provide a national picture of trends in educational achievement, which may assist policy development, resource allocation and review of the New Zealand Curriculum.” (Philips, 2000). A sample of students in Years 4 and 8 (or Standard 2 and Form 2) were selected to complete tasks in various curriculum areas to demonstrate their skills and achievement in that curriculum area. In the mid 1990s, international assessments emerged to measure educational achievement in OECD countries. The Third International Mathematics and Science Study (TIMSS) was one, and it enabled New Zealand students to be compared to students in the other OECD countries. In 1998 a Green Paper, Assessment for Success in Primary Schools, was a beacon for what was to come. The Green Paper said there was a need to know how children were achieving in primary schools and that schools needed better information “to ‘benchmark’ or check their professional judgement” and compare to nationwide cohorts (Philips, 2000, p.148). While acknowledging the range of assessment tools in operation already, the Green Paper deliberately downplayed their importance and sophistication to promote the need of national, externally referenced tests (Lee, n.d.). Recommendations included additional diagnostic test to provide specific next steps for learners, along with the mandatory externally, referenced tests with multiple choice questions to be administered at Years 6 and 8 (Standard 4 and Form 2). The external mandatory tests were opposed by the teaching profession, citing fears of narrowing the curriculum, league table and teaching to the test, not unlike the calls over a hundred years previous to this (Lee, n.d.). Three proposals for new diagnostic tools, exemplars of students’ work and changes to NEMP were supported however (Philips, 2000). 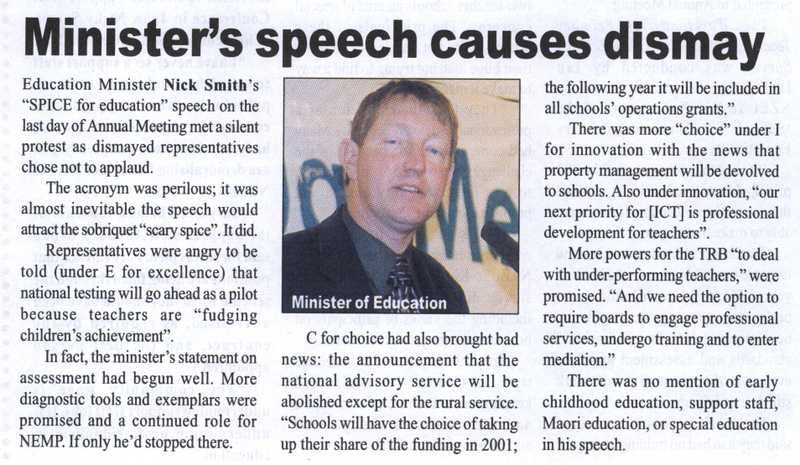 This is the report in the NZEI Rourou (12/10/1999 volume 10, issue 10 1999) of then Education Minister Nick Smith's speech to the 1999 NZEI Annual Meeting - the first Annual Meeting I ever attended. The silent protest was powerful. However, with in late 1998 it was clear the government was still working towards external mandatory tests when it announced a new goal for literacy and numeracy (Philips, 2000, p.144): “By 2005, every child turning 9 will be able to read, write and do maths for success.” Lee (nd) said the new Education Minister in 1999, Dr Nick Smith, stated that an external mandatory test regime was still on the table post-election, while Labour leader, Helen Clark, ruled it out under a Labour government. Upon Labour becoming the government in November 1999, the proposal of a national external test regime for primary schools was extinguished. Otherwise the new Labour led government carried on the majority of the policy agenda set under the previous National led government. The 1998 Green Paper had some initiatives in motion and the emphasis was on Literacy and Numeracy driven from the failed attempt by the previous government to introduce a national testing regime. Unlike the National led government before it, this Labour led government during the 2000s actively engaged the teaching profession in all initiatives, believing that if the teachers had buy in they would more likely have successful student outcomes. “Accordingly, when students fail to achieve the prototypical classroom teacher becomes the scapegoat… In this ideal, Labour is attempting simultaneously to secure the active support of the teaching workforce as a partner of the state and to persuade the wider electorate that it is the watchdog of educational standards.” (O’Neill, 2005, p.119). With the focus being on Literacy and Numeracy, several key contracts were initiated in 2000. One was the Numeracy Project, a new way to assess children’s capabilities to express their understanding of number and computation and how to teach Numeracy, as maths came to be known. Contracts for writing and reading to improve a schools performance in these areas under the Literacy Project were also initiated as well as clusters of schools for ICTPD (Information and Communication Technologies Professional Development). The new Education Minister, Trevor Mallard, announced the development of a new assessment tool called asTTle to be developed by the University of Auckland under the guidance of Prof John Hattie. 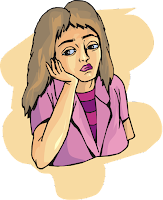 This tool would be used on a voluntary basis by schools, with assessments chosen by teachers to suit their learning programmes and the varied nature of these assessment meant the development of league tables would be highly unlikely. Other new assessment tools, as a result of the 1988 Green Paper were developed too. Between 1999 and 2003, NZCER developed and trialled a new literacy assessment tool call STAR for students Year 3 and up (NZCER, n.d.). The National Curriculum Exemplars were examples of student work at each level of the curriculum identifying features that were characteristic of the achievement expected at that level. Alongside matrices for writing, for example, these enabled teachers to level a student’s writing sample against the Curriculum expectations. Assessments in use over the 2000s included: School Entry Assessment, Six Year Nets, Numeracy diagnostic tools like NUMPA and GloSS, National Curriculum Exemplars, Year Four Survey (aka Standard Two Survey), Running Records, asTTle, ARBs, PATs, STAR and NEMP. The government also initiated a long-term study conducted by Adrienne Alton-Lee called Iterative Programme of Best Evidence Synthesis, focused on reviewing the best evidence of teaching and learning in an effort to find out how to best improve teaching and learning to improve student outcomes (Boyask, 2010 and O’Neill, 2010). International tests of student performance were an increasingly important sign post under the Labour led government to prove the system was delivering. PIRLS (Progress in International Reading Literacy Study) and PISA (Programme for International Student Assessment) joined TIMSS as a way for the government to compare New Zealand student performance internationally. In comparison to New Zealand developed assessments, these international assessments failed to factor in the cultural currency of the New Zealand student, especially Māori and Pasifika students. This was due to the assessment being focussed on the knowledge considered to be essential for the global knowledge economy. None the less, the reports from these assessments remained central to the narrative of the MOE literature (Boyask, 2010). When National left office in 1999, it was with a sense of unfinished business in regards to getting more accountability for student achievement outcomes to be measured. The had not achieved their goal of a national testing regime. 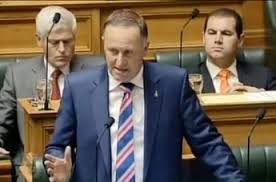 John Key, the National leader, signalled in 2007 that when National got into government, National Standards would be central to his government’s plans in education and the focus would be on the basics, Literacy and Numeracy. Lee (n.d.) quoted from the National Party’s 2007 Education Policy, “National Standards will give schools from Kaitaia to Bluff a set of shared expectations about what students should be achieving as they move through primary school. Teachers will use national standards to clearly identify students who are at risk of missing out on basic skills and becoming a permanent part of the “tail” of under-achievement.” Teachers argued this was disingenuous, as they already knew which children were not meeting the expected stages for their age and year level in various subjects. Three key ideas underpinned this policy: national standards, effective schoolwide assessment and upfront reporting to parents. National based this policy on two ERO reports, The Collection and use of Assessment Information in Schools (March 2007) and The Collection and Use of Assessment Information: Good Practice in Primary Schools (June 2007), which claimed 49% of schools were not implementing effective schoolwide assessment, teachers were not using the huge potential of the assessment tools for their programmes or efficiently reporting to families (O’Neill, 2007). However, National did back off from an external mandatory testing regime in favour of teachers using the existing assessment tools. 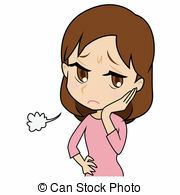 Instead they would be making Overall Teacher Judgements (OTJs) when comparing assessment results to National Standards. NZEI 2011 Annual Meeting in Rotorua. address to Annual Meeting as well. 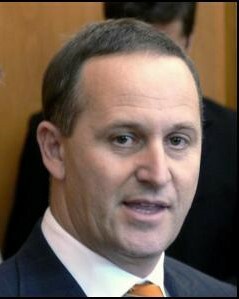 After the election in November 2008, the new Prime Minister, John Key, appointed Anne Tolley as Minister of Education. Within weeks, under urgency and avoiding the select committee process, National Standards legislation was before the House and passed by the National Party MPs and their Coalition Support Partners, Act, United Future and the Māori Party. Tolley insisted that parents wanted National Standards, despite few voters actually knowing that it was part of their election manifesto as both National and Labour released their education policies one week before the election. She told principals in February 2009 that consultation would happen during that year and implementation would be in 2010 (Lee, n.d.). Tolley continued to use the previously mentioned ERO reports to justify National Standards, using statistics in her speeches and media briefings to prove her point, her favourite one being one in five children were being failed as part of the long tail of underachievement. However a closer look at the data from the ERO reports, according to Lee (n.d.), shows these reports did not actually bare out what Minister Tolley was saying to justify the policy. She had cherry picked statistics to make her case. It is clear throughout the history of the compulsory primary school era that what children learn and how it is proved has been a consistent tension for politicians and the public. The politicians wanted justification that the taxpayer dollars they had dedicated towards compulsory education were indeed value for money. Post-World War II, this did not change, but pedagogy had more influence over assessment than economics when the need to pass a standard each year was abolished in 1955. However, politicians still insisted on some form of measurement of achievement resulting in new tools such as the normative PATs, Running Records and so being developed over the next thirty years more in line with how experts knew students learn. With the advent of The New Right and the evolution into neoliberalism, the drive for teachers to be accountable for student outcomes has come “back to the future”. While a national testing regime similar to the UK, USA or Australia has been kept at bay during the 2000s, National has implemented National Standards. Now children are assessed according to OTJs made by teachers using the assessment results collected against the Standards. These are collated, reported to the MOE and, through the work of the media, league tables have emerged comparing the performance of schools against one another. While economic policy does not specifically drive the desire to know how students are performing, as that is definitely an area parents and politicians have stake in knowing, economic policy does drive the form that the accountability will take. 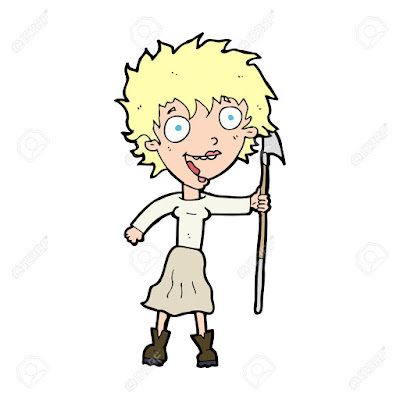 Under the Fifth Labour led government the desire for education policy to be seen as reminiscent of the Fraser/Beeby egalitarian era dampened down the standards debate. But with the return of a National led government under John Key, the neoliberalist desire to have every dollar spent on social policy accounted for and justified has come to the fore. Ball, S. J. (2003). Class strategies and the education market: The middle classes and social advantage. London: RoutledgeFalmer. Boyask, R. (2010). Learning and Diversity in Schools. In Thrupp, M., & Irwin, R. (Eds.). Another decade of New Zealand education policy: Where to now? (pp. 21-34) Hamilton, N.Z. : Wilf Malcolm Institute of Educational Research (WMIER), Faculty of Education, The University of Waikato. Butterworth, G. V., & Butterworth, S. (1998). 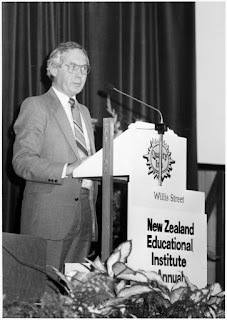 Reforming education: The New Zealand experience, 1984-1996. Palmerston North, N.Z. : Dunmore Press. McKinnon, M. (2013). Treasury: A History of the New Zealand Treasury 1840-2000. Auckland University Press. Nana, G. (2013). The Cost of Inequality. In Rashbrooke, M. (Ed.). Inequality: A New Zealand crisis. (pp. 55-67). Wellington, New Zealand: Bridget Williams Books. O’Neill, J. (2005). 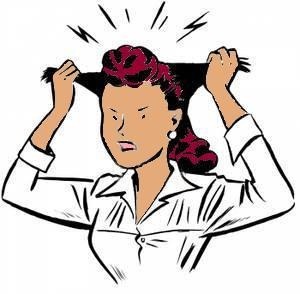 Policies on teachers and teaching: More of the same? In Codd, J. A., & Sullivan, K. (Eds.). Education policy directions in Aotearoa New Zealand. (pp. 115-126). Southbank, Vic. : Thomson Learning Australia. O’Neill, j. (2010). Teachers and Teaching. In Thrupp, M., & Irwin, R. (Eds.). Another decade of New Zealand education policy: Where to now? (pp. 1-20) Hamilton, N.Z. : Wilf Malcolm Institute of Educational Research (WMIER), Faculty of Education, The University of Waikato. Thrupp, M. (1997). 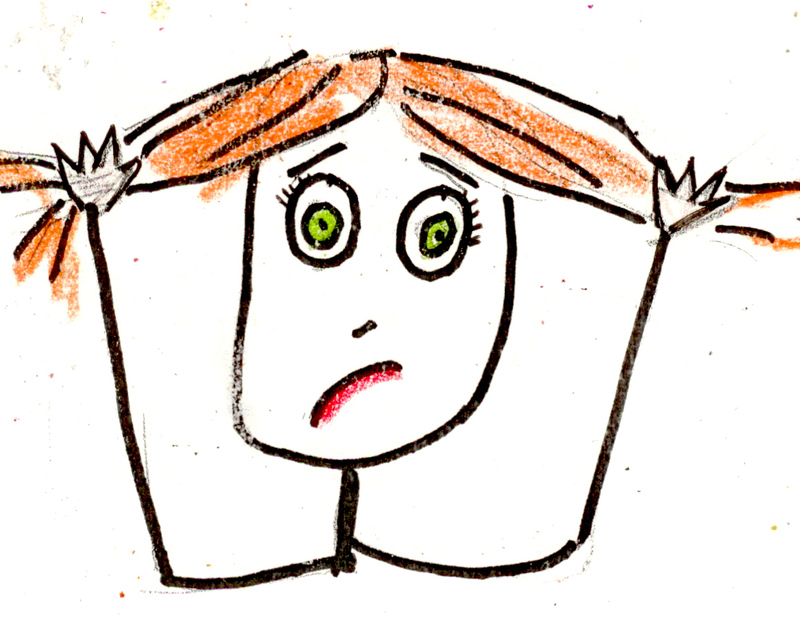 Shaping a Crisis: The Education Review Office and South Auckland Schools. In Olssen, M., & Matthews, K. M. (Eds.). Education policy in New Zealand: The 1990s and beyond. (pp. 145-161. Palmerston North, N.Z. : Dunmore Press.